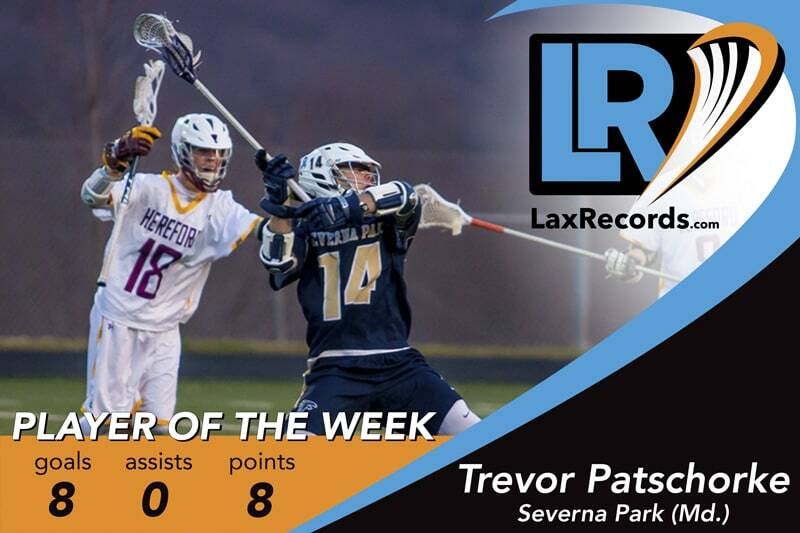 Patschorke scored six goals as Severna Park defeated Severn (Md.) on April 13. The senior had two goals in a win over Archbishop Spalding (Md.) on April 11. That was two wins over MIAA A Conference opponents to lead the Falcons to an 8-0 record. 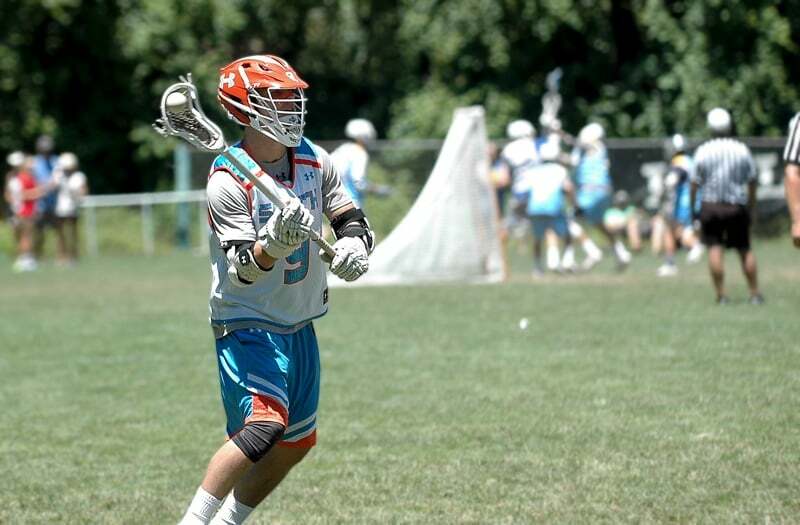 For the year, the UMBC commit has 37 goals and five assists. Severna Park is the defending Public School Class 4A/3A champion. The Falcons played both Severn and Spalding last season, but lost. Now, they have avenged those losses and are riding a 25-game winning streak, which is second-longest active streak in Maryland. King made 14 saves as the Eagles defeated Highland Park (Texas) 10-8 on April 13. The win kept the Eagles undefeated and kept alive a streak of 11-straight games in which ESD has not allowed more than nine goals in a game. King made four saves in the Eagles’ win over Skyline (Wash.) later in the week. Laviano scored four goals and had one assist against New Canaan (Conn.) in a 12-9 win. His fourth goal gave the Seahawks a 12-8 lead in the inter-state meeting of defending champions. He added nine more goals and three more assists later in the week. He had three goals against John Jay (N.Y.) on April 12 and six goals and three assists against Huntington (N.Y.) on April 15. Lucas scored three goals, including the game-winner with 34 seconds remaining to lead Riverhead to an 11-10 win over previously undefeated Bay Shore (N.Y.) on April 10. 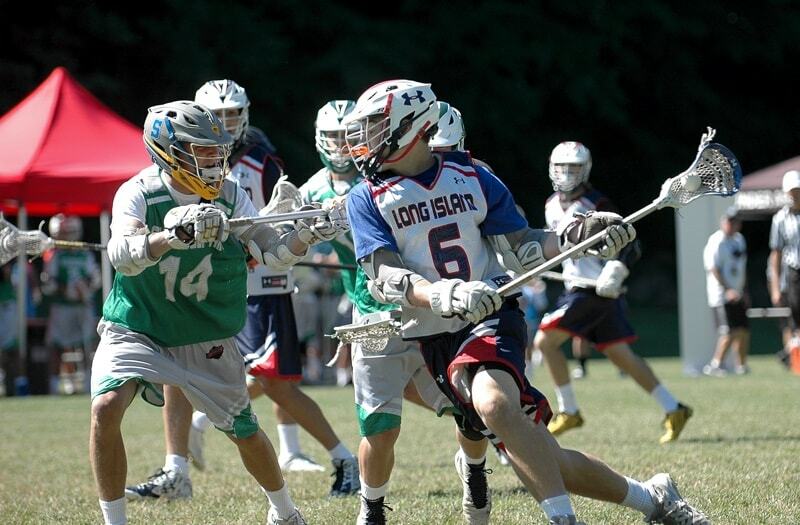 McGovern scored four goals as Darien defeated Manhasset (N.Y.) 12-8 on April 15. The attackman had four goals and three assists in the Blue Wave’s 23-5 win over Fairfield Ludlowe (Conn.) on April 12. Asher Nolting from Cherry Creek. Nolting had six assists and one goal as the Bruins defeated Torrey Pines (Calif.) in a big inter-state matchup on April 12. The senior followed that up with a six-point game in a win over Columbine (Colo.) on April 15. Nolting has 53 points to lead the Bruins this season through eight games. Brennan O’Neil at the 2016 Under Armour Underclassmen games. The freshman scored four goals as the Friars defeated Boys’ Latin (Md.) 12-9 on April 12. He scored three goals against Fairfield Prep (Conn.) on April 10. 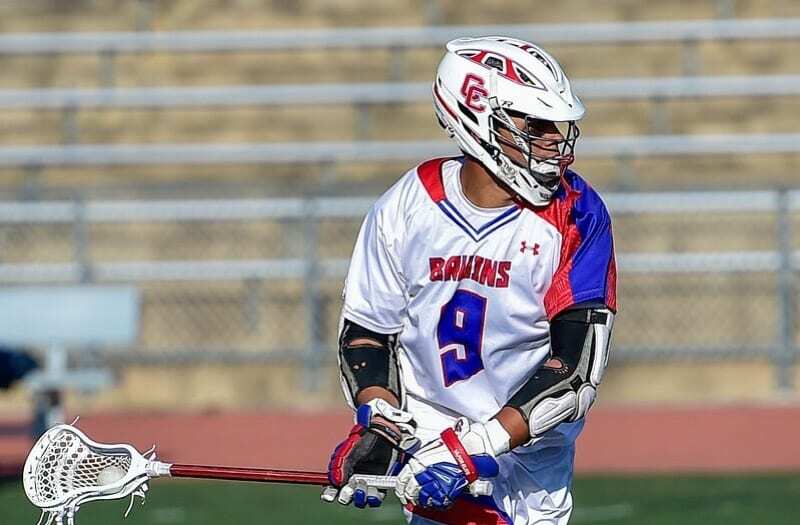 Savage had five goals and one assist in the Bruins 14-4 win over Torrey Pines (Calif.) on April 12. The junior followed that up with three goals in a 14-5 win over Columbine (Colo.) on April 15. Through the Bruins first eight games, Savage has 29 goals to lead the team. Nicky Solomon at the 2016 Under Armour Underclassmen Games. Solomon scored 12 points for in a win over Martin Luther King (Ga.), becoming just the 70th-known player to reach 400 career points in the victory. Solomon is only the second player from Georgia to reach that mark – joining current Syracuse freshman and brother, Nathan Solomon. Nicky had eight assists and four goals in Friday’s win, giving him 114 points this season. For his career, he has 406 career points. Stroman made 28 saves in a 12–7 win over Douglas County (Colo.) on April 14. The Denver commit allowed only four goals in 45 minutes. Stroman has made at least 20 saves in seven games this season, giving him 160 for the season. At this time, Stroman’s 28 saves is the most known and reported to LaxRecords.com in a single game in Colorado history.